Paris is a charming city in France and many people travel there for the culture and romance that seems to be everywhere. Those who travel to Paris will find themselves flying into the Charles-De Gaulle airport. It is best for everyone to make sure that they are ready to take either an airport transfer or a taxi to their hotel in the city, because it takes approximately half an hour to travel the distance between the two places. Travelers will want to avoid public transit if possible, because the time that it will take to get them to their final destination will at least double. While in Paris, there is so much for visitors to see, but there are a few attractions that everyone must experience. 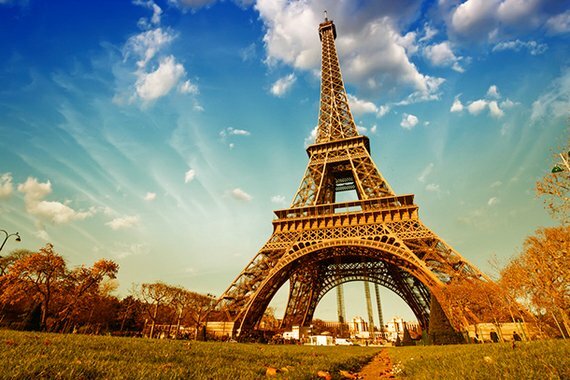 One of the first things that everyone will want to see is the Eiffel Tower. This massive tower was constructed just in time for the 1889 World Fair and was supposed to be temporary. However, the popularity of the tower and the transmission possibilities at the top, kept this tower from being demolished over the years. The Eiffel Tower is a breathtaking landmark for the background of any photograph, but those who are brave enough to go to the top will appreciate the extraordinary views. Art and culture are everywhere in Paris and even those who are not a fan of the opera will want to watch a performance inside the Palais Garnier. Of course, not everyone will need to suffer through the opera, because the ballet is performed on the same stage. Tickets sell out fast, so travelers will need to obtain their tickets far in advance, most likely as soon as they know that they will be in the city. Guests can also take tours of the Palais Garnier, and both unguided and guided ones are offered at certain times of the week. There are approximately thirty-five thousand pieces of art for people to see within the Louvre, although some works of art are more popular than others. Visitors will want to plan their day at this museum carefully, as there is no way that anyone can see each piece during a few hours of time. Most visitors will start their day standing in line for a glimpse of the Mona Lisa by Leonardo da Vinci before venturing over to the Egyptian mummy tombs and the old apartment of Napoleon the Third. This museum is always full of people, which is no surprise since each year brings at least nine million guests, so everyone will need patience as they wander from one exhibit to the next. Travelers will find themselves wandering all over the city of Paris as they go from one extraordinary attraction to the next. This will allow them to see all the beauty that this city offers, which will encourage them to return at some point in the future.